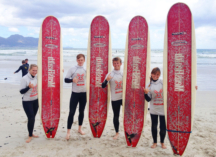 Surfing Lessons are weather dependent. We do not coach in unsafe conditions. A 1hr group lesson is perfect for young kids or not-so-sporty teens/adults. Join an existing class or book your own group lesson for you and your friends. 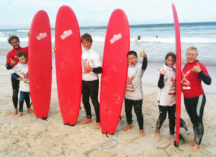 Group lessons have a maximum ratio of maximum 5 students per instructor. A 2hr group lesson is great option for fit and healthy Teens/Adults. You may join an existing class or book your own group lesson for you and your friends. 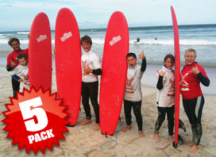 Group lessons have a maximum ratio of maximum 5 students per instructor. 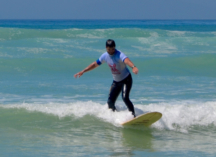 Learn to surf OR improve your surfing skills by booking your own personal instructor. 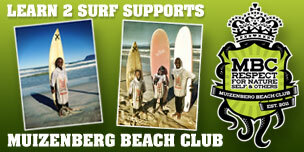 IF you have your own surfing gear, please bring it with you – if not we have all the gear you need. 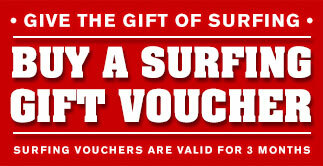 If you’re keen to do more than one surfing lesson, this option is for you! Buy 5 lessons and save! Lessons cannot be shared between multiple surfers. Buy 10 lessons and make surfing a part of your life! 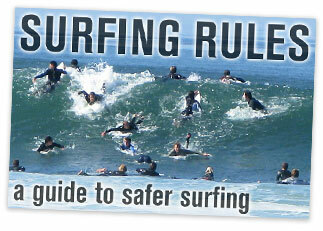 Lessons cannot be shared between multiple surfers. 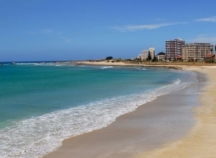 Port Elizabeth has some fantastic beaches for beginner surfers and some world class surfing waves for intermediate and advanced surfers. 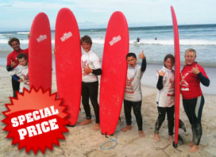 The majority of our beginner lessons in Port Elizabeth take place near the oceanarium – at Denville / Kings Beach, whic are right across the street from our surf shop. 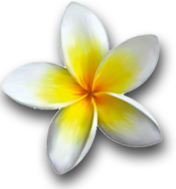 We offer private or small group lessons, weekly after school lessons, children’s parties and corporate team building events. We are open everyday of the year – weather permitting.